The grocery aisles stocked with tempeh and the Buddha bowl photos invading your Instagram feed are conclusive evidence that vegetarianism has gone mainstream, winning points for being not only healthy, but environmentally sustainable to boot. Studies have shown that a vegetarian diet can help you manage your weight, as well as lower your risk of diabetes, heart disease, and cancer. It could also cut land and water use, not to mention greenhouse gas emissions. Of course you to want live healthy and help the environment. But what if the very idea of passing up a juicy burger makes it a nonstarter? You might still get many of the benefits of vegetarianism without nixing meat altogether. Enter the flexitarian diet, which U.S. News and World Report ranked third best diet overall earlier this year. The flexitarian diet is just what it sounds like. While it emphasizes plant-based foods — like produce, legumes, and whole grains — it still gives you the flexibility to eat meat on occasion, unlike fad diets with strict rules (ahem, keto). “It’s an overall pattern and an approach to eating that is realistic for people,” says Whitney Linsenmeyer, an instructor in the department of nutrition and dietetics at the University of St. Louis. 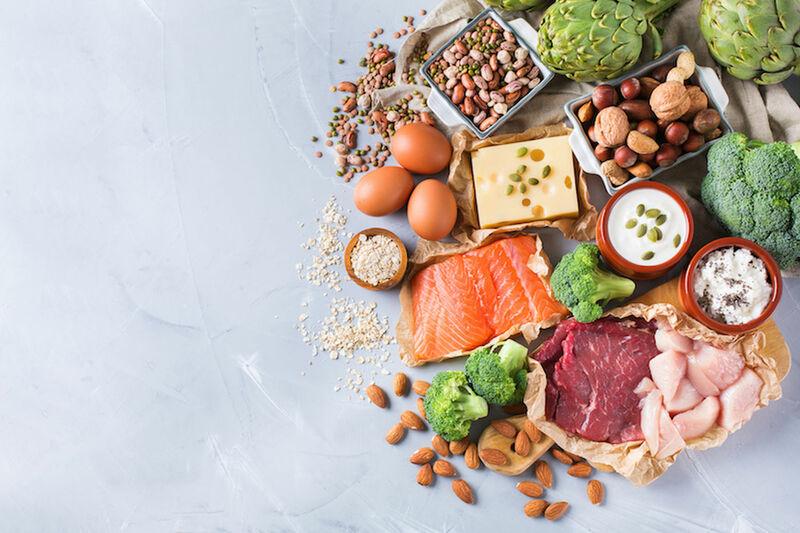 Registered dietitian Dawn Jackson Blatner popularized the term “flexitarian” in her book The Flexitarian Diet: The Mostly Vegetarian Way to Lose Weight, Be Healthier, Prevent Disease, and Add Years to Your Life, which outlines a five-week meal plan. But since the book’s publication in 2009, the flexitarian diet has become, well, more flexible, according to the experts we interviewed. “The big idea is to make your diet mostly plant-based foods and allow for animal foods in smaller amounts,” Linsenmeyer says. Plant-based proteins, like tofu, tempeh, nuts, seeds, and beans. Beans pack not only protein, but also iron, potassium, and fiber. Fiber can support weight loss by making you feel fuller on fewer calories. It can also help improve blood cholesterol numbers and reduce risk of heart disease, stroke, and diabetes. Meat, poultry and fish every now and then. These can provide protein and nutrients such as iron. But, for the most part, compared with fish, chicken and plant-based proteins, red meat contains more saturated fat, which can boost cholesterol levels and worsen heart disease. What’s more, the International Agency for Research on Cancer classifies red meat as “probably carcinogenic (cancer-causing) to humans,” with limited evidence showing an association with colorectal, prostate, and pancreatic cancers. 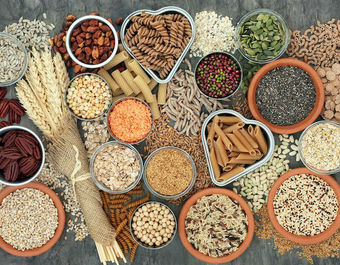 Whole grains, such as quinoa, barley, bulgur, farro, and brown rice, are rich in fiber, not to mention important nutrients, such as folate, iron, and magnesium. Fruits and vegetables contain few calories, and lots of vitamins, fiber, potassium, calcium, and other nutrients. Avoid processed foods and beverages, which are often chock full of unhealthy fats, added sugars, and sodium. “Flexitarianism” is a loose term, making it approachable but tricky to research. A few studies have looked at “semi-vegetarians” –– a categorization similar to flexitarian –– but plenty more have looked at vegans and vegetarians. A recent analysis of the limited studies on semi-vegetarians does suggest that a flexitarian diet could have health benefits. Emma Derbyshire, a registered public health nutritionist in the UK, who led the analysis, says that downsizing meat makes space for plant-based foods rich in heart-healthy fiber and other nutrients not found in meat. It also gives you more room to heap on the fruits and veggies, shown to reduce the risk of some types of diseases. “By having meat-free days, we’re broadening the variety of the diet,” Derbyshire says. 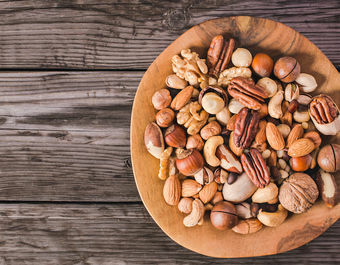 Shrink your waistline: A study of Seventh-day Adventists –– whose religious beliefs encourage a plant-based diet — found that the more plant-based participants’ diets were, the lower their body mass index, or BMI, a ratio of weight to height. Semi-vegetarians had lower BMIs than non-vegetarians, while strict vegetarians had the lowest BMIs. Boost heart health. In another study of Seventh-day Adventists, pesco-vegetarians, who ate fish once a month or more and other meats less than once a month, had a significantly reduced risk of death due to ischemic heart disease and cardiovascular disease than omnivores. Prevent Type 2 diabetes. In an analysis of three studies that followed 200,000 health professionals for two decades, researchers found that those who ate a plant-based diet were substantially less likely to develop Type 2 diabetes. Clinical trials suggest that a fully vegetarian diet may also help treat the disease. Lower cancer risk. A study of Seventh-day Adventists found that semi-vegetarians had an 8 percent lower risk of colorectal cancer than non-vegetarians. Cutting back on meat may be better not only for your health, but for the environment, too. This has become a big concern following a recent Intergovernmental Panel on Climate Change report predicting that if we don’t do anything about greenhouse gas emissions, we could see extreme warming, more frequent droughts, and other crises by about 2040. Partially replacing meat with plant-based foods may help the planet by cutting greenhouse gas emissions and reducing land use. Still disappointed in your last short-lived attempt at keto, paleo, or [insert restrictive diet here]? The flexitarian diet could offer a more doable, sustainable alternative. “That’s the beauty of it — that it’s flexible,” says Jennifer Neily, a registered dietitian nutritionist in Dallas. “It’s mostly vegetarian, but there are no foods that are off limits.” This flexibility may also make it easier to adapt the diet to any budget, lifestyle, or cultural cuisine. Here are some tips for getting started. Divvy up your plate. A typical flexitarian plate is similar to MyPlate, the U.S. Department of Agriculture’s food guide, Linsenmeyer says. Divide your plate into four sections. “We want at least half of that plate to be non-starchy vegetables, a quarter of the plate maybe some starchy carbs — potato, sweet potato, brown rice, or quinoa — and another quarter some protein,” whether animal- or plant-based, Neily says. Find the ratio of animal-to-plant-based food that works for you. Blatner’s book outlines three levels of flexitarian depending on your current meat intake: Beginners go meatless two days a week, eating a total of 26 ounces of meat spanning the other five days, while advanced flexitarians skip meat three to four days a week and spread out 18 ounces of meat over the rest of the week. Expert flexitarians cut out meat five days a week, and eat nine ounces of meat over the remaining two days. Kevin Grodnitzky, a registered dietitian-nutritionist in Baltimore, takes a simpler approach with his clients. 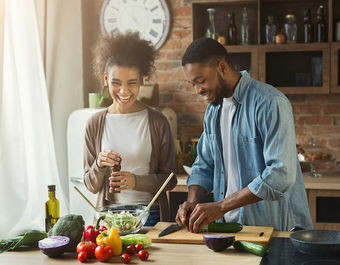 When deciding how much to downsize your meat portions — and scale up your plant-based portions — he suggests factoring in your health needs, your goals and what you’re willing to do. Be realistic. “Increase your intake of plant foods to the amount you’ll actually maintain,” he says. Start slow. Make breakfast and lunch plant-based, and reserve meat for dinner to start. If you need to, take baby steps by going completely plant-based for one day a week — by observing Meatless Mondays, for instance. Gradually build up to two plant-based days a week, and so on. “Look at which days would be easy to be meat-free,” Derbyshire says. Allow yourself meat on days that tend to have more social events, like weekends. Or try doing meatless social events with like-minded friends. Plan ahead. For Linsenmeyer’s clients, “the most challenging aspect of plant-based eating is that it takes more mental energy to think and plan out one’s meals, especially if they’re used to eating a different type of diet.” Budget time on Sunday for planning and cooking meals for the week. Invest in a slow cooker for making dishes in bulk; simply prep the ingredients in the morning and throw them in for the day. Think of meat as the supporting cast, not the star. Use meat as a seasoning — an ingredient in a chili, for instance, rather than a big slab in the middle of your plate. “If you’re making a casserole, you can use a small amount of red meat, and bulk it out with beans,” Derbyshire says. “You’re immediately getting more fiber into the meal, and you’re getting the benefits of the meat without over-consuming it.” Or, increase your veggie intake by folding sautéed mushrooms into a meat patty, Linsenmeyer suggests. You can find lots of easy recipes that use meat in this way on The Flexitarian or Shape. Snack smart. Cut up fruits and veggies, and keep them within easy reach for when you need to nosh between meals. While veggies may not appeal to your palate as much as fruit, “if you cut them up and keep them near you, you’re more likely to eat them,” Grodnitzky says. Craving something sweet? Try Neily’s quick, go-to dessert: Microwave a five-ounce sweet potato, and top with a cup of plain non-fat Greek yogurt, walnuts and a dash of brown sugar.